Three days a week, Legal Grounds stays open late and quietly changes from local coffee shop to a dinner pop-up run by Taste of Poland. Familiar from their food truck days at 6th Borough Market, Taste of Poland found they were getting positive reactions and return customers so decided to look for more ways to get their food to customers and formed a partnership with Legal Grounds. Open Wednesday through Friday, 5pm-8pm at 170 Grand Street, Taste of Poland is filling the void that Sava Polish Diner left behind. In fact, the reason I found out about it was because of a comment left on one of the JC Eater profiles wishing a Polish spot would open back up in the neighborhood. The menu does change daily, but there are typically at least four different options to choose from and at least a couple are vegetarian. I was able to try a mixed order of potato and cheese and mushroom and sauerkraut pierogi, the stuffed cabbage, and the special that night, a pork dish over mashed potatoes with a light gravy. 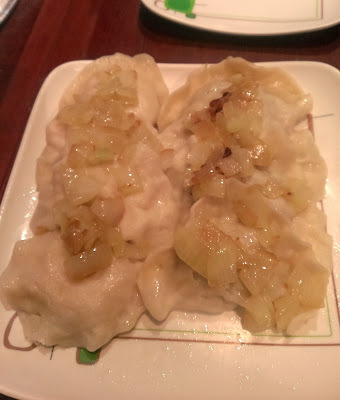 The pierogi, served with sauteed onions and a side of sour cream (and on occasion bacon), were slightly doughy but the flavor and the texture of the fillings were quite good. The favorite was the mushroom and sauerkraut for its tangy, sharper flavor. 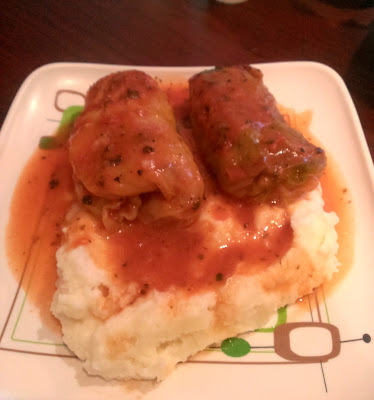 The stuffed cabbage was also good, although surprisingly vegetarian (it does vary so make sure you ask if that matters to you) with the stuffing wrapped tightly with tender cabbage leaves in a light, well-seasoned tomato sauce over mashed potatoes. 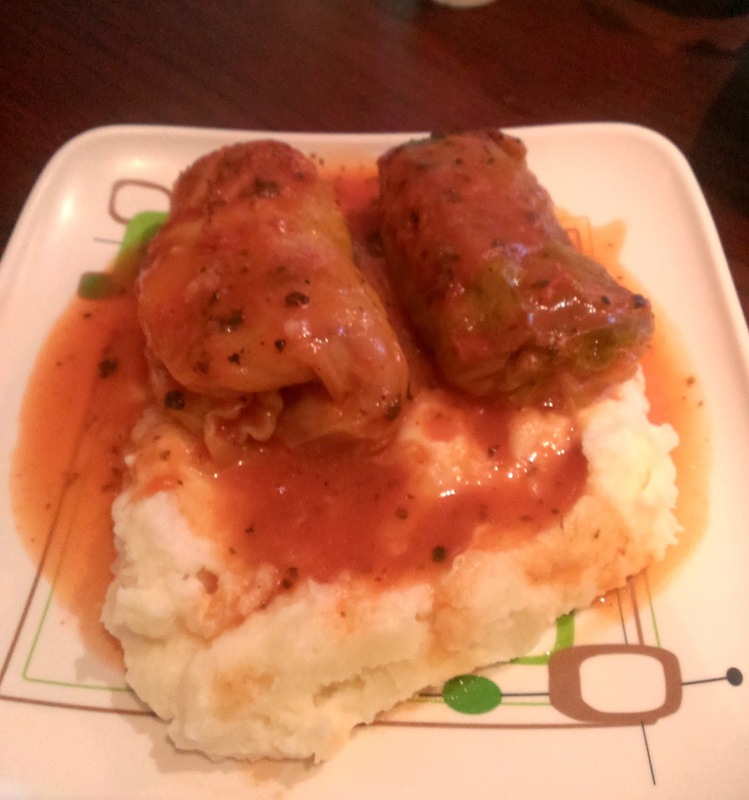 Substantially lighter than I find typical of most stuffed cabbage, this was still a hearty dish. The pork dish was the definite winner of the evening. 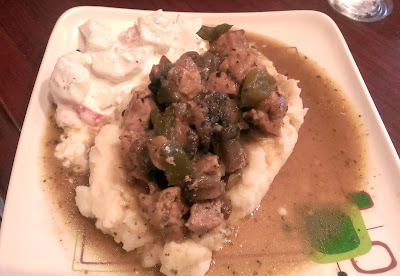 Chunks of well-done pork with sauteed peppers over mashed potatoes in a peppery pan sauce gravy, it was the most flavorful dish of the bunch and the side of cucumber salad was crisp and cooling. Taste of Poland is comfort food at its best. Everything is fairly priced and substantially portioned - you can easily leave very full for under $12. It's great to have a Polish option around although the menu is limited for now. It's a very casual set-up, but the semi-hidden and temporary nature of the pop-up makes it feel like an eating adventure. There's a great backyard to eat in and they will also do take-out.